Waqf is one of the charitable trusts whereby the beneficiaries get the benefits not only as an individual but also as a community. This is aligned with the good Muslim attitude that is always promoted by Islam. However, the level of waqf participation in Malaysia is considered low. Past literatures suggested social culture, promotion, and awareness influence participation in consumer decision, including waqf. Also, attitude plays an important role as a moderator between determinants and consumer decisions. Therefore, this study aims to investigate the moderating impact of attitudes in the relationship among kinships, peers, waqf administrator, promotion, and awareness toward waqf participation. A set of questionnaires were administered to 200 people residing in Selangor. The data were analyzed using hierarchical multiple regression. The results revealed that awareness has a significant relationship with waqf participation. Also attitude moderates two of the relationships: determinants (peers and promotion) and waqf participation. The paper concludes with discussion and several recommendations to the respective authorities. Mohd Puad, B. N. A., Jamlus Rafdi, N. B., & Shahar, W. S. S. B. (2014). Issues and challenges of waqf instruments: A case study in MAIS. 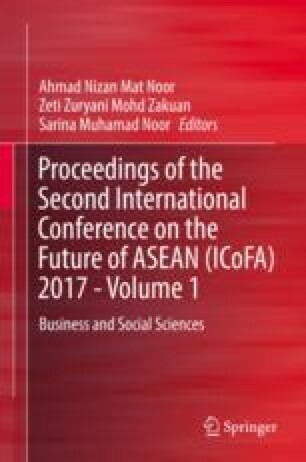 In E-Proceedings of the Conference on Management and Muamalah (pp. 978–983). https://doi.org/10.1007/s13398-014-0173-7.2.